Loaded with comforts and amenities situated on the white sands of Sapphire Beach in St. Thomas, US Virgin Islands. Sapphire Beach Resort and Marina is the perfect destination for travelers looking for Caribbean relaxation and comfort, or travelers looking for adventure and island hopping. We are situated on over a half mile long stunning and lavishly tropical white sandy beach. 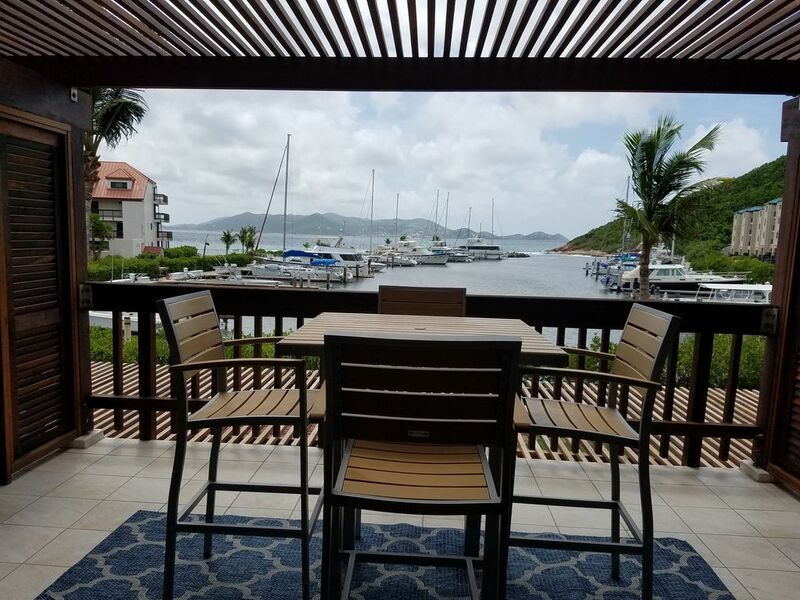 The property is located on the east end of St. Thomas' island and is the perfect location for any type of vacation – from adventurous, to fun in the sun, to relaxing by the pool, to island hopping by boat, yacht or ferry. Everything you need for a memorable vacation is right on-site so leaving the resorts property is completely optional. For those with an exploring nature, St. Thomas has a wide variety of attractions, including historic buildings, Blackbeard's castle, underwater submarine tour, boat tours, sky ride, marine park, and ecotours to name just a few. The crystal clear multi-level cascading freshwater pool overlooks the Caribbean Sea leaving you with magnificent views of the islands. Enjoy a jet ski ride or hop on a boat to one of the British Virgin islands located right out your door or try your skills in a game of sand volleyball. Sapphire Beach Resort is located in a lovely landscaped tropical vegetation garden amidst palm and banana trees. If snorkeling is what your looking for Sapphire Beach offers one of the best experiences with a dive shop located on property. This beach offers one of the best snorkeling experiences on the island with Sea Turtles often seen floating through the crystal clear waters. If deep sea fishing is what you are after there are many boats located at the marina for the experience of a life time. The tranquil waters and gorgeous views offer a relaxing experience for all travelers. I fell in love with St. Thomas and the island life eight years ago when I purchased my first unit at Sapphire Beach. My love for the islands continued as I purchased another unit two years later and now today I now have a total of four. I hope to pass this love of the islands onto my guests by providing them a relaxing environment in a tranquil setting while creating unforgettable memories. This property offers a combination of amazing views of the beautiful turquoise waters and a setting that promotes a feeling of getting away from it all. The condo unit is located overlooking the beautiful marina at Sapphire Beach Resort and Marina. There are laundry facilities onsite. You can purchase tokens and laundry detergent from the Marina office onsite during business hours. There is parking available directly in front of the unit. Living area has a queen size sofa sleeper and large flat screen TV with views of the Marina and Ocean. Small indoor dining table that seats four along with another outside dining table that also seats four overlooking the marina. Two large screen flat TV's. One TV located in main living area another TV located in the bedroom. Large deck overlooking the Marina at Sapphire Beach. Gorgeous Two level pool with cascading waterfall located directly on the Ocean with spectacular views.